New MacBook Models for the Back-to-School Buying Season? The rumor mills were abuzz late last week over a report by Taiwan-based trade journal DigiTimes' Esther Lam quoting a Chinese-language Commercial Times report that Apple is said to have increased its procurement of notebook-use printed circuit boards (PCB) by 20% quarter-on-quarter for Q3, with most of the ordered PCBs being high-interconnect density (HDI) boards, adding fuel to speculation that new Apple laptops are on the way in the near future. That's hardly "man bites dog" material, since the MacBook and MacBook Pro haven't been updated since late February, so in the normal scheme of things they're due - or even overdue - for a refresh anyway. The operative question is not whether there will be new MacBooks by fall at the latest, but rather whether it will be another speed bump and features tweak of the current models or all-new external form factors along with new internals. I'm inclined toward the second alternative, and it bears recalling that Apple unveiled the aluminum iMacs in early August last year, just in time for the back to school and college buying season, which is more important for Apple than for other PC makers, given its strong sales profile in education. Also, Intel has just released its new Centrino 2 (Montevina) notebook CPU and chipset, which will inevitably find its way into Apple laptops, more likely sooner than later. It's also being reported that Apple is limiting MacBooks and MacBook Pro shipments to Best Buy over the next two weeks, which implies that Apple may be clearing inventory ahead of a new models release. The inference has to be that new Mac laptops are imminent. A couple of weeks ago, AppleInsider posted some not-very-good photos from a Chinese-language website purported to be shots of a prototype of the next-generation MacBook Pro, commenting that "people familiar with the ongoing development of the new 15- and 17-inch professional notebooks" are confirming that the spy photos really are of the next gen 15" MacBook Pro, although probably an early development mule and not the final iteration. What was hazily depicted appeared to be an aluminum and stainless steel machine incorporating design elements from the aluminum iMac and MacBook Air lines, although not as extreme, with more organically contoured form factors and larger trackpads, which seems logically plausible. The new housings are also expected to further conform to Apple's eco-friendly commitments - and happily to incorporate the current MacBooks' easy access to its RAM slots and hard drive bay, and even improve on it with a big, big battery spanning almost the entire case width that will occupy about 25% of the case underside and provide access to the hard drive bay when removed. A solid state drive (SSD) option is also not an unlikely prospect. It also looks as if the MacBook Pro will also get a matte black version of Apple's "chiclet" integrated keyboard that is used in the MacBook and MacBook Air, of which I am not a particular fan, largely because it's less modular and more difficult/expensive to replace in the event of a mishap or defect. New Mac laptops are expected to utilize the Intel Centrino 2 chipsets with an updated Penryn 45-nanometer CPU, a 1066 MHz frontside bus, clock speeds in the 2.2 GHz to 2.8 GHz range, and a reduced power-draw of 25 Watts (compared with the current 35 Watts of power demand). 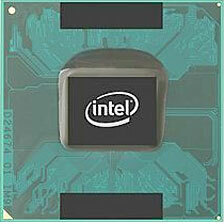 Note that "Centrino" is an Intel platform-marketing brand rather than a chip family per se, and refers to a CPU, motherboard chipset, and wireless network interface combination for notebook computers. The Centrino nomenclature has never been used by Apple, since the platform bundles and feature sets tend to be Windows-oriented. For example, Mac OS X is not optimized to take advantage of Santa Rosa's "Robson" NAND flash-memory caching, which is branded "Intel Turbo Memory". 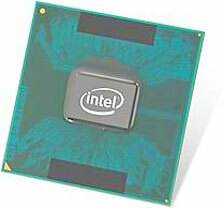 Computer makers like Apple that only use the respective CPU and chipset are authorized to use other Intel branding, such as Core 2 Duo. 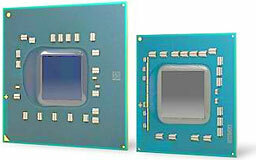 Centrino 2/Montevina, released this month, is the fifth-generation Centrino platform and will support second-generation Penryn CPUs with enhanced processor performance for faster multitasking, high-bandwidth WiFi (802.11a/g/n), and, for the first time, an optional integrated WiMax/WiFi module, as well as more advanced power-saving technology to help it run cooler with longer battery life. Intel will also offer an Extreme Edition version, which the company claims to be the world's highest performing dual-core mobile processor, and says it will introduce eight more ultra-low voltage CPUs and the company's first-ever quad-core CPUs for laptops within 90 days. Will there be quad-core MacBook Pros? It's a pretty safe bet that we will see a Revision B of the MacBook Air in the near future, incorporating a second-generation Small Form Factor (SFF) version of Centrino 2 CPUs for ultra-thin and light notebooks. A report by Macworld UK's Sumner Lemon quotes an Intel executive affirming that the company "will launch Small Form Factor [chips] in the third week of August." Switchable graphics are another new optional power-saving feature available on Centrino 2-based notebooks, providing both integrated and discrete graphics in a single notebook, enabling users to easily switch between the two options. This would eliminate a long-standing bugbear for Apple laptop users of the video support not being upgradable. Switchable graphics delivers greater 3-D performance when needed while providing the option for greater power savings when appropriate. It will be interesting to see if next generation MacBooks will incorporate this feature, which would pretty much eliminate complaints about poor high-end (e.g., gaming and serious video) graphics performance with the MacBook's current integrated GMA graphics that "borrow" 144 MB of system RAM for graphics support. At minimum, MacBook fans can look forward to Intel's new GMA X4500 integrated graphics technology in Penryn 2, clocked at 533/640 MHz and containing ten unified shaders, up from the eight provided by Penryn 1's GMA X3100 graphics support system. If all or most of this speculation comes to fruition in the next few weeks or months, it will be great news for Apple laptop fans. I've personally been wavering since February over whether I should buy a Santa Rosa/Penryn 'Book or wait for Montevina's arrival. I've held back; my wonderful old 17" G4 PowerBook is still doing a great job for me, and as the months rolled passed, waiting to see what would materialize in the next gen 'Books became increasingly a no-brainer. If I were to make the jump now, I would very-likely be kicking myself in a month or two. Of course, being low-end oriented, it's possible that I may end up with an older model anyway, but I want to be able to make an informed choice.